Peter Jackson helmed one of the greatest fantasy adaptations of all time, as well as The Hobbit trilogy. 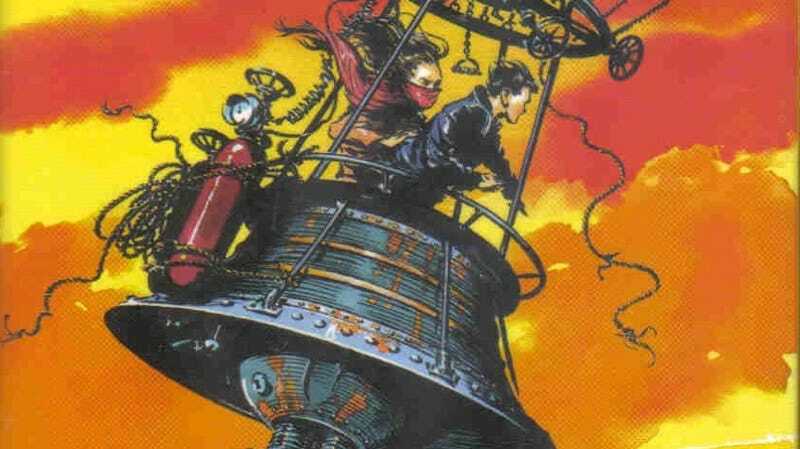 Now he’s shepherding another genre entry to the big screen: Philip Reeve’s steampunk saga Mortal Engines. Though the Lord of the Rings trio of Jackson, Fran Walsh, and Philippa Boyens will co-write the script, directing duties will go to VFX whiz Christian Rivers. Though Rivers will make his feature directorial debut, he’s no rookie—after meeting Jackson when he was just a teen, he went on to work on the entire LotR and Hobbit series, and won an Oscar as part of King Kong’s visual effects team. All told, Rivers has been part of Jackson’s inner circle for nearly 25 years (he has credits going back as far as 1992's Dead Alive). The book is set in a world many thousands of years in the future. Earth’s cities now roam the globe on huge wheels, devouring each other in a struggle for ever diminishing resources. On one of these massive Traction Cities, Tom Natsworthy has an unexpected encounter with a mysterious young woman from the Outlands who will change the course of his life forever. This is the first Jackson-Walsh-Boyens project not directed by Jackson; in addition to writing the script, they’ll all produce, too. Filming is set to begin in New Zealand next spring.